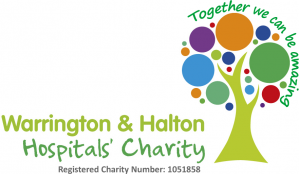 We provide an extensive gastroenterology service - based mainly at Warrington Hospital and providing services at Halton General Hospital as well. There is a JAG accredited endoscopy unit at Warrington Hospital providing over 10,000 procedures per year. It is a busy but friendly, very well organized, and efficient department. The unit provides a comprehensive range of diagnostic/therapeutic upper and lower GI endoscopies, Bronchoscopy as well as ERCP. The endoscopy unit offers an excellent endoscopy training program and regularly receives very positive feedback from both medical and surgical trainees. A second endoscopy unit is situated on the Halton site, this NEW unit (re-opened in Feb 2015) offers a full range of diagnostic and therapeutic upper and lower GI Endoscopy and Flexible Cystoscopies. 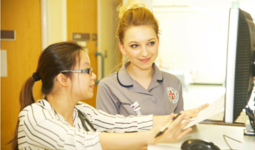 Inpatient care is provided on a dedicated 21 bedded Gastroenterology ward (C22) with two consultant led teams at a time each comprising a F1, F2/CMT and an SPR. A consultant led ward round is carried out every morning, supported by a very highly motivated, dedicated and experienced ward nursing team. There is a comprehensive out of hours endoscopy on-call service provided by the Gastroenterology consultants. In addition, there is a daily consultant delivered inpatient endoscopy list to provide timely endoscopy for GI bleeds and other urgent GI conditions. A total of 18 Gastroenterology clinics per week are provided for gastroenterology and Haematology patients. There are clinics with subspecialty interest including viral Hepatitis C and inflammatory bowel diseases. The department has recently won a bid to acquire a fibroscan machine to improve the management of patients with liver diseases within the Warrington and Halton catchments. There are regular radiology, histology and IBD MDT meetings. These meetings provide useful experience in managing complex conditions with multidisciplinary involvement. Referrals into the Gastroenterology Department can be made via Choose and Book or a referral letter to the consultant.